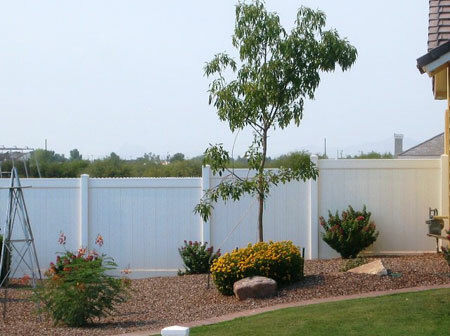 Increase the value of your home and enjoy the great look and feel of a vinyl privacy fence. Our most sought after fence, privacy vinyl fence is made to last and has proven its abilities to stay beautiful over time. 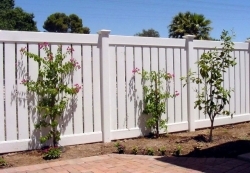 Whether you want a Classic Solid Privacy fence, or want to accent it with lattice or pickets, you have come to the right place. 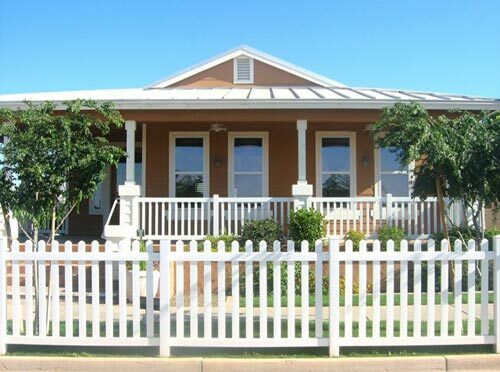 One of our most popular styles, vinyl picket fencing has been chosen by homeowners and architects over the years for its ability to accent any front or backyard while still acting as a barrier from any unwanted visitors. 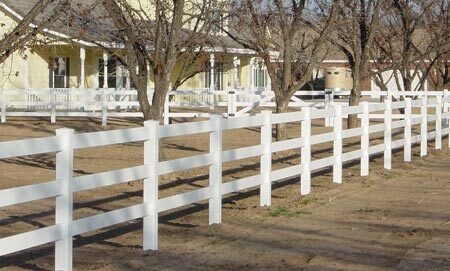 Whether you have a small yard or large ranch, vinyl ranch rail is an affordable way to add beauty to your property. Available with 2, 3, or 4 rails and also in a crossbuck pattern. Preferred by many for its simple installation and added benefit, vinyl ranch rail will be around for a long time. 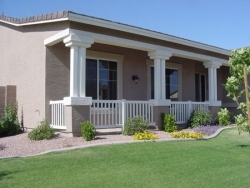 With our business founded in Arizona, we know how to make a vinyl pool fence. 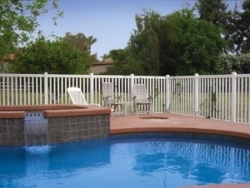 Homeowners have been purchasing our vinyl pool fence for over ten years. With stiffeners inside our vinyl pickets, you can rest easy knowing you made the right choice in choosing a barrier to keep your kids safe from the pool. We prefer not to sell a pool fence with a mid-rail because it is like a ladder for children. Not only will our pool fence keep the kids safe, it won't rust or rot around the water, which translates to savings for you down the road. Semi-Privacy Fence offers many of the same benefits as solid privacy fence but allows air to still move freely in confined spaces. Semi-Privacy also tends to make small yards feel a little bigger because some visibility of the other side of the fence is still available. Spend your time on the porch or deck enjoying it, not maintaining it. Vinyl porch railing has grown popular over the year for its aesthetic look and low maintenance. If you need help deciding what will work best with your application, don't hesitate to ask.